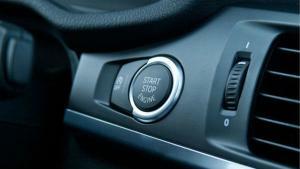 Almost three quarters of motorists would think twice before buying a car with keyless technology amid fears about how secure the vehicles are, new research has found. According to a survey by Tracker, 70 per cent of car buyers are hesitant about keyless cars because of concerns that hackers can hack into and steal them. By cloning a car key's built-in immobilisers, thieves can make a copy of the keyless fob, unlock the vehicle and start the engine - it is a vulnerability that has been well reported over the past year. Car dealerships and garages must also be cautious if they have keyless cars stored on their site - whether they are selling them or they belong to customers. A combined motor trade insurance policy will offer financial cover for the vehicles kept on a business' trading premises in case they are damaged or stolen by thieves. Andy Barrs, police liaison officer at Tracker, explained: "Tens of thousands of cars are vulnerable to thieves using electronic devices. "This method relates to the microchips embedded in vehicle keys, whereby the thieves intercept and copy the signal emitted by the key to start the car. The fact that so many of our customers confirm they still have both sets of keys when their vehicle is stolen suggests that electronic key cloning could have taken place." There are methods for protecting the car, though, with an SVR system the most popular precaution among driver (40 per cent), followed by a steering wheel lock (30 per cent).